If you’re experiencing rising damp, leaking pipes or cracks in the foundation of your home, it could be due to damage caused by blocked gutters. Hiring a professional gutter cleaner in Berwick is the quickest, most efficient and affordable solution towards preventing further damage. If your house is not showing signs of damage, regular gutter cleaning should be part of your usual maintenance routine to ensure no damage occurs in the future. LeafVac’s professional gutter cleaning service is the easiest way to get long lasting results. Our fully trained and qualified gutter cleaners arrive on the day of your cleaning with our high-tech vacuum excavator ready to do all the hard work for you. Using state-of-the-art technology, our powerful machines take care of the job quietly and unobtrusively, providing the highest possible quality of gutter cleaning while being respectful of your home and your privacy. To show you just how much difference our service can make, you’ll receive a before and after digital photo as clear evidence. Hiring a professional gutter cleaner means you don’t need to risk injury and you can spend your spare time doing the things you love most. Our services are long lasting, so you can forget about blocked gutters for the seasons ahead. 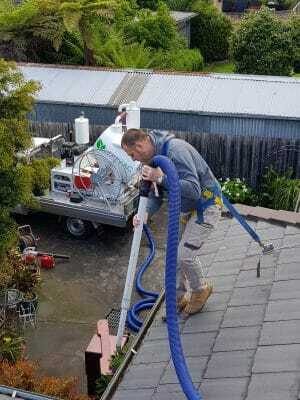 Contact LeafVac on 0455 488 837 to book a professional gutter cleaner in Berwick today and take advantage of a service your home will benefit from for years to come.